The ALM3220 is a breakthrough in laminating machines. Laminating equipment has never been so fast and easy. Fujipla’s revolutionary compact auto laminator is as easy to use as a copy machine and warms up in 5 minutes. Just load from 1 to 200 documents in the automatic feeder and press the start button. Each document is automatically fed into the laminator, laminated with the special lamination film, trimmed to size and then stacked on the collection tray. 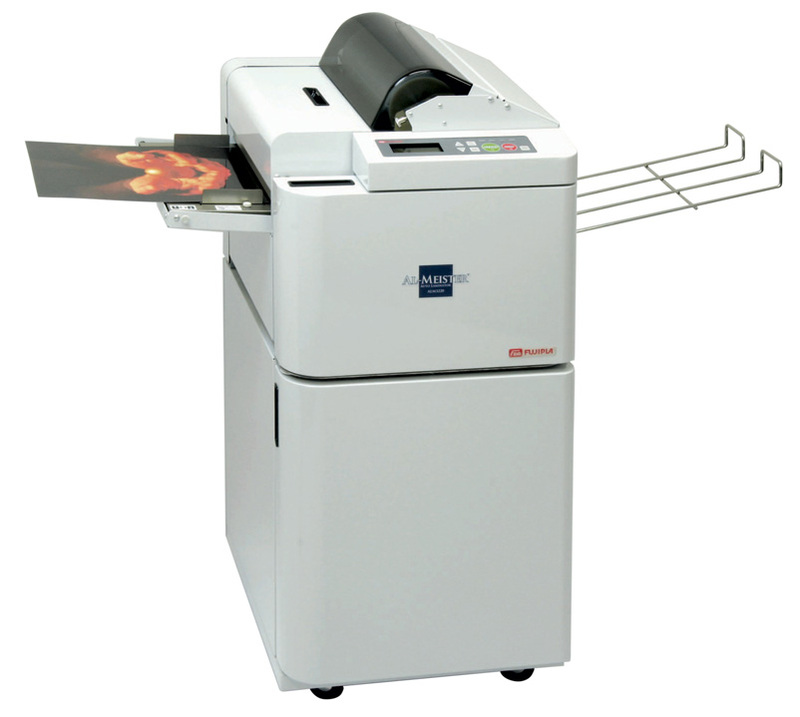 The ALM3220 can adjust to different size documents up to 12″ x 18″ and can adjusted to trim with or without a margin. The special AL laminating film comes in 1.5, 3 or 5 mil thickness in gloss or matte finish.